Mild Mediterranean climate, sandy soils, undulating Tuscany-like hills, scattered cellars on top of them – this is the resume of the Melnik wine region, which is already world famous. A colorful printed wine map with drawings and useful details would guide the tourists not only to winemakers but to cultural sights, too. Excellently equipped and devoted to the high art of winemaking, local wineries count on both traditional and classical vines. All cellars are located within a 30-minute drive from Zornitza Family Estate and, at your request, wine tastings and visits may be arranged at the Estate’s reception. If you want to gain an insight of the wine production image of the region, you should not miss the tours to Villa Melnik, Orbelus, Kapatovo Gardens and Vineyards, Orbelia Winery, and Sintica Winery. 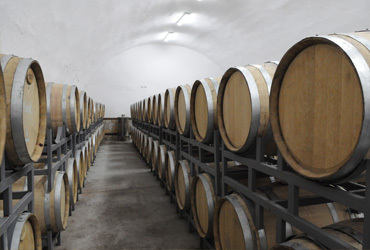 Wine Cellar Villa Melnik is a family-owned estate that continues a vine-growing and winemaking tradition with over 200 years of documented history. Villa Melnik owns 30ha of vineyards and a modern winery only 5km from Melnik. The winery offers excellent opportunities for wine tourism and welcomes visitors from Bulgaria and abroad every day. The friendly tour guides at Villa Melnik will take visitors on a journey through every step of the winemaking process. The tour begins from the vineyards, where the local varieties Broad-Leaf Melnik, Melnik 55, Mavrud and Ruen grow alongside some international varieties. Then, visitors follow the gravity-flow production process through the three levels of the winery. The underground cellar is particularly impressive: with tunnels that run deep under the sandy hill where the wine ages in oak barrels and a treasury full of old and rare bottles. The tour will finish at the tasting room, where visitors can enjoy Villa Melnik’s award-winning wines from the series AplauZ, Bergulé, Family Tradition, Young & Crazy, and Orange Wine. Welcome! Surrounded by seven mountains in the Melnik region lies the organic winery Orbelus. 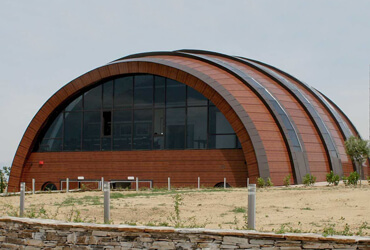 Not only is the wine-making process organic but also the architecture of the winery reduces the input of resources such as lighting, heating and cooling. This provides for a wine experience in full unison with nature. These environmental considerations do not come at the expense of the wine quality; Orbelus has already gained international recognition, including a gold medal from the prestigious Millésime Bio Challenge. Staying true to its Melnik origins, Orbelus emphasizes the local varieties and presents them in a different way to its visitors – the organic way. Kapatovo Gardens and Vineyards are situated in a valley on the southern slopes of Pirin mountain, away from industrial sites and pollution of modern life and just 5 km from the town of Melnik. The farm, established in 1997, today spreads over more than 120 hectares, on the lands of the villages of Kapatovo and Zornitza. Within its range are situated orchards, vegetable plantations, vineyards, as well as farm buildings and cooling facilities. Kapatovo Gardens and Vineyards is a family owned estate, where nature and its benefits, are highly valuable. What we want and aim at is to grow high-quality products that meet our client’s expectations, and at the same time doing the best for the land and the plants. 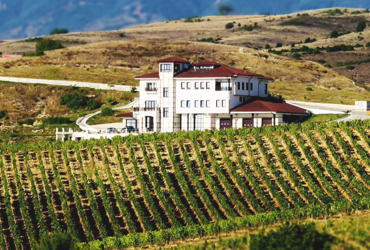 Located in the heart of a region famous for viticulture and winemaking since the time of the ancient Thracians, SINTICA Winery is the new incarnation of the Experimental Agricultural Centre in the town of Sandanski in Bulgaria’s southwest. Over the course of several decades, the establishment developed new branches of different cultures and left an outstanding legacy by creating the unique Bulgarian wine varieties “Early Melnik Grape” (also known as “Melnik 55”), “Melnik Rubin” and “Sandanski Misket”, among others. 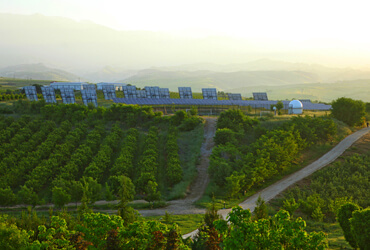 As a successor to this long tradition in winemaking, SINTICA Winery began operation in 2007 as a brand new complex equipped with state-of-the-art technology. 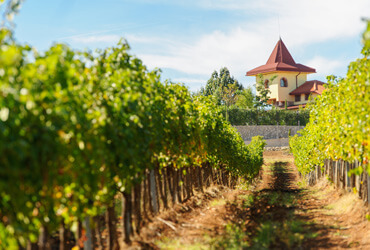 SINTICA quickly established itself as a top-quality wine producer in Bulgaria and won numerous awards and prizes from national and international competitions. SINTICA Winery prides itself on winning three Golden Rhytons, awarded during the 2010, 2011 and 2014 “Vinaria” International Wine Exhibition held in Plovdiv, Bulgaria. The winery’s own vineyards are located in an extremely favourable region along the Struma River Valley in immediate proximity to the locality of Rupite and its mineral water springs, the extinct volcano Kozhuh and the ancient Thracian town of Heraklea Sintica. Beautiful view of the place, revealing a view of a valley surrounded by high mountains. Memorable sunrises and sunsets, an Aegean breeze and surprising seasons for their palette. It has a tasting room with a capacity of 40 seats. It is suitable for organizing meetings, teambuildings, celebrations, etc. Wine tasting and an opportunity to get acquainted with local culinary traditions are available on advance reservation. Wine tasting is organized for everyone, accompanied by an introduction to the cellar’s technological base and a walk through the vineyards.